When a nebbish (Eddie Cantor) discovers he’s heir to a fortune, he quickly becomes prey to a con-woman (Ethel Merman) and her partner (Warren Hymer); meanwhile, when traveling to Egypt to collect his inheritance, the daughter (Eve Sully) of an Egyptian sheik (Paul Harvey) becomes smitten with Cantor and attempts to snag him as her husband. 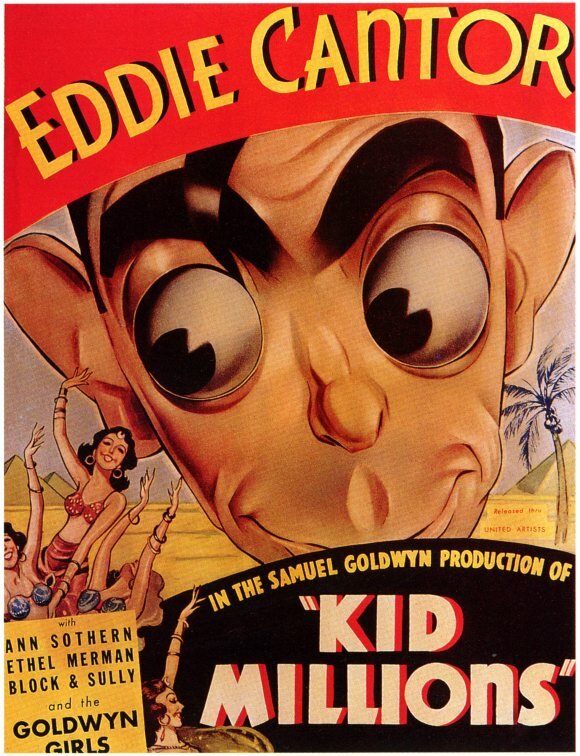 Roy Del Ruth directed this inconsequential Eddie Cantor musical-comedy, based on a fantastical “kitchen sink” storyline that’s essentially a series of excuses for comedic banter and absurd situations to emerge. 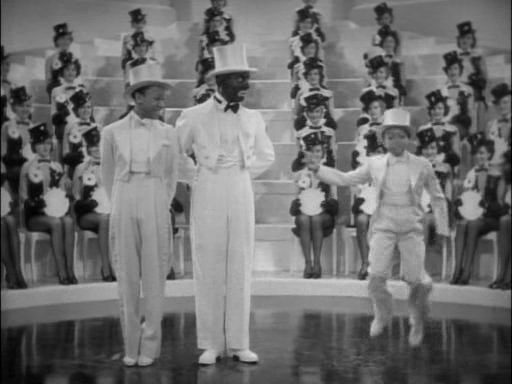 Naturally, musical sequences are scattered throughout (the best starring the Nicholas Brothers), and there’s also a gratuitous romantic subplot between George Murphy and Ann Sothern (whose characters have little to do with the rest of the story, as far as I can tell). 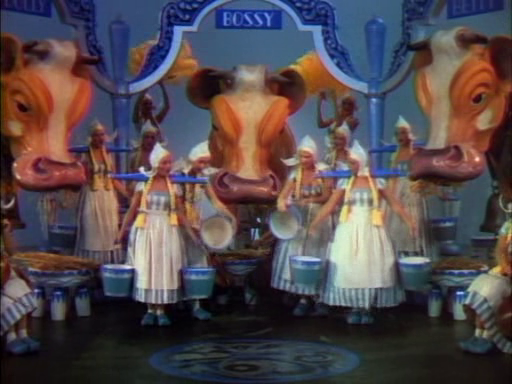 The film’s primary selling point is its truly surreal Technicolor finale (see still below), which — like everything else about the film — feels randomly tacked onto the storyline. Note: Peary lists all but one of Cantor’s six Samuel Goldwyn titles in his GFTFF; now that I’ve finished watching the five titles he recommends, I’ve decided that two — Whoopee (1930) and Roman Scandals (1934) — are “must-see”, while the rest are strictly for fans. No; this one is only must-see for Cantor fans. Largely dated in its comic style (and unfunny in a cringe-worthy way), this flick is almost painful to get through. On the minimal plus side: Merman’s opening number (‘An Earful Of Music and an Armful of You’) is a good showcase spot for the singer, and Eve Sully (in her only feature film appearance) contributes some (very) welcome energy in her delivery. I don’t think there’s a single ‘joke’ in this thing that works.